Triumeq (Abacavir, Dolutegravir, and Lamivudine) is used for the treatment of Human Immunodeficiency Virus (HIV). This medication is used to lessen the amount of HIV that is in your body. It will help your immune system to work better. How does Triumeq (Abacavir, Dolutegravir, and Lamivudine) work? These medicines are all for the treatment of HIV. It works by blocking an HIV enzyme called integrase by the integrase inhibitors. NRTIs will also block an HIV enzyme called reverse transcriptase. By hindering the integrase and reverse transcriptase, the three combined medicines will prevent the development of the infection in your body. It will also lessen the amount of HIV in your body. Why use Triumeq (Abacavir, Dolutegravir, and Lamivudine)? 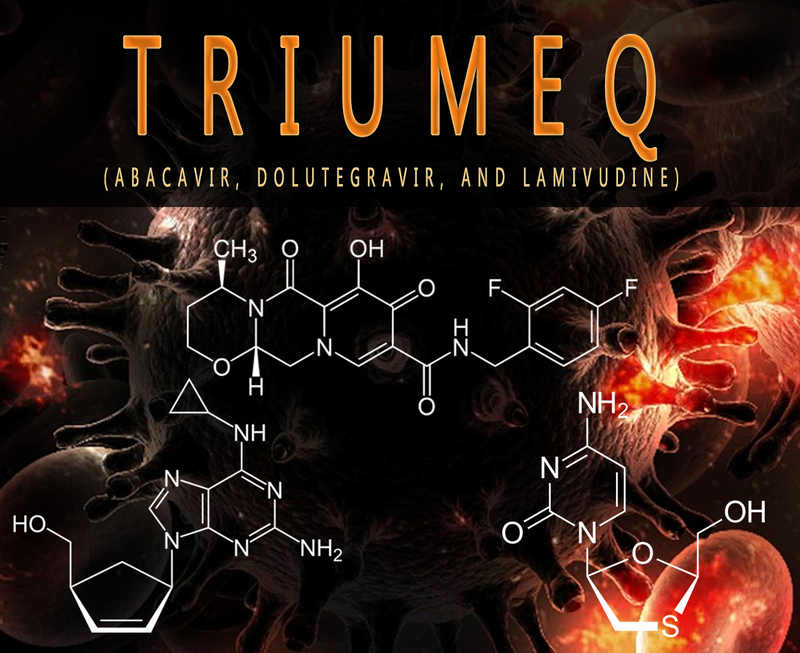 Triumeq contains Abacavir, Dolutegravir, and Lamivudine. These three medicines were combined in one tablet to give better medication to patients who have HIV. Triumeq can be used alone as a complete regimen for this kind of condition. This can also be taken along with other HIV medicines. This is a prescription approved by FDA. How to use Triumeq (Abacavir, Dolutegravir, and Lamivudine)? This medication is taken by mouth with or without food. This is usually taken once a day. If your doctor gave you an instruction, follow it promptly. Do not change your dosing schedule or dose without the advice of your doctor. If you missed a dosage and it’s almost time for your next dose, never mind the missed dose. Follow the fixed time of your doctor’s prescription. What are the side-effects of Triumeq (Abacavir, Dolutegravir, and Lamivudine)? If this medicine is already past the expiration date, do not take it anymore. Check carefully if the seal of Triumeq is broken or missing. If you have HIV and you are taking this medication, do not breastfeed. Inform your doctor if you are allergic to it or any active ingredients of this medication. Keep this and all your medications away from the reach of children.